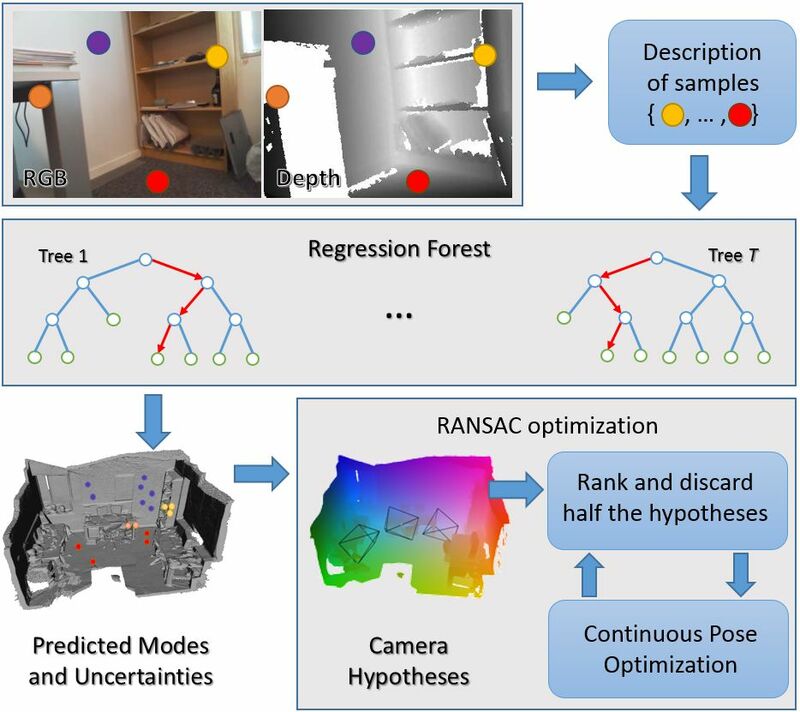 Recent advances in camera relocalization use predictions from a regression forest to guide the camera pose optimization procedure. In these methods, each tree associates one pixel with a point in the scene's 3D world coordinate frame. In previous work, these predictions were point estimates and the subsequent camera pose optimization implicitly assumed an isotropic distribution of these estimates. In this paper, we train a regression forest to predict mixtures of anisotropic 3D Gaussians and show how the predicted uncertainties can be taken into account for continuous pose optimization. Experiments show that our proposed method is able to relocalize up to 40% more frames than the state of the art.